Federal and Mississippi laws require employers to post notices informing employees of their rights and protections while performing work for their employers. 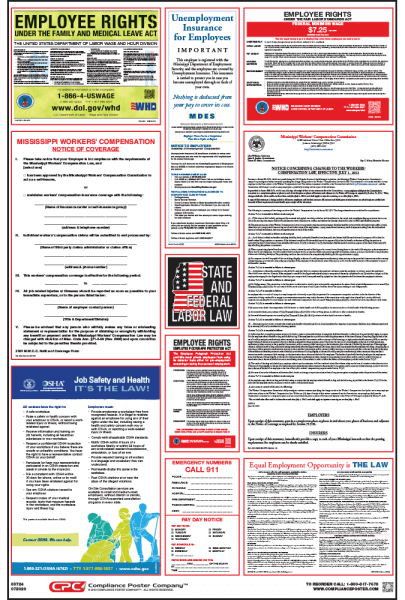 Mississippi Labor Law Posters contain each of the state and federal mandatory labor law notices that must be posted in the workplace. 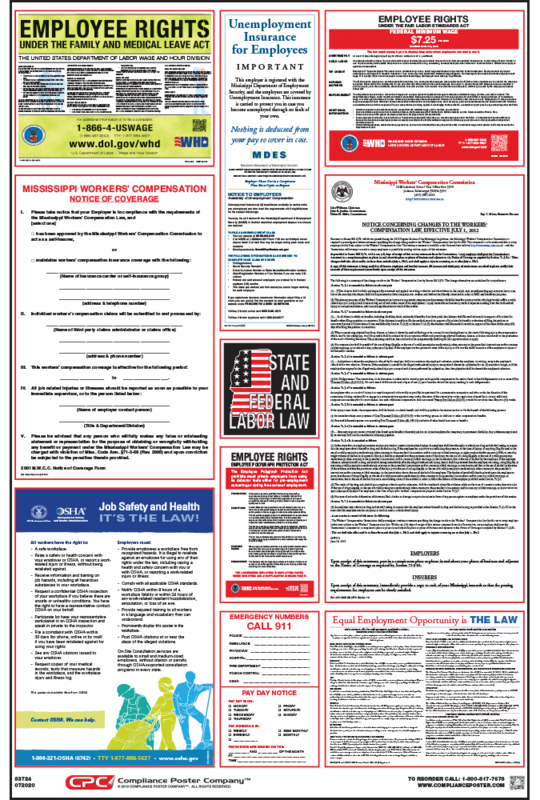 Every Mississippi private, federal, state and local government employer employing any employee subject to the federal Fair Labor Standards Act (FLSA) is required to post the official Federal Minimum Wage notice explaining the Act in conspicuous places in every establishment where covered employees are employed. (29 CFR 516.4). Mississippi employers engaged in or affecting commerce or in the production of goods for commerce are required to post the official notice of the Employee Polygraph Protection Act (EPPA) where employees and applicants for employment can readily observe it. (29 CFR 801.6).